It's FALL! Our leaves aren't quite changing yet, but I am going to get ready for when they do! 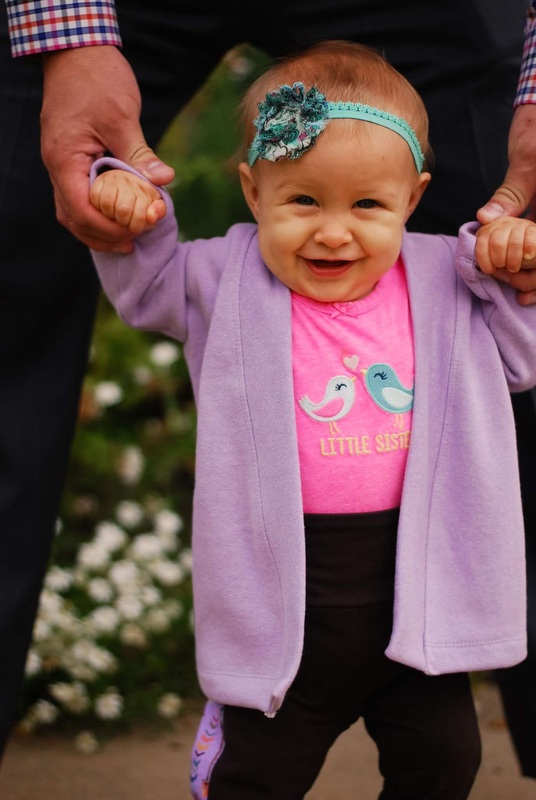 The first thing that I did this year to celebrate fall is sew up the sweetest, comfiest, squishiest "Mommy and Me" cardigans for me and my youngest. I am a giddy mommy inside today and am excited to tell you that my squishy baby is 9 months old today!! For today's post, I am going to be giving you a pattern review of the new release by 5 out of 4 Patterns, the Women's and Girl's Eleanor Cardigans, as well as giving some personal background on why I get all emotional and sappy and celebrate October like it's my birthday. If you are here for the pattern stuff, just skim right on over to that section and you won't hurt my feelings at all. October is such a big month for me. Two years ago this month, I heard the words "Cancer Free" from my oncologist. I cried. I danced. I felt so excited to be given a new lease on life. I had believed to hear those words for 4 months, and it felt so good to feel it and live in it. In July of that same year, my doctor had caught cancer very early on. Hysterectomy. Chemo. There were so many scary words said to me that day. I felt betrayed by my body. I was the "healthiest" person I knew. I have a wonderful family practitioner doctor who sat and cried with me. I had just been through a crazy few months (that included 2 pregnancy losses), and this felt like I was being kicked while already down. She encouraged me to consult with an acupuncturist and herbalist before committing to any treatment plans with the oncologist. The oncologist humored me and was supportive since it was caught so early. It was not what I would call a smooth ride at all, but after 4 months of following the acupuncturist's strict diet, herbs, and constant (expensive) appointments, I heard those words that were like butter to my soul. Cancer. Free. Since I avoided chemo and a hysterectomy, I was sent to my OB/GYN for monitoring until a year was over. Once the year was over, I was considered cancer free and able to resume life as normal. After my very last round of blood work, I got a call very late one night from my OB/GYN telling me I was pregnant. PREGNANT!?! I about fell over. Surely enough, it was true, and I got this amazing little girl to hold and kiss and sew all the pink and purple for. I celebrate her every moment I get. The Eleanor Women's and Girl's Cardigans have a dropped sleeve (that is sewn in the round and not flat) and comes in 3 lengths: tunic, knee, and duster. It has an optional hood, optional patch pockets, two different sleeve widths (slim fitting or relaxed) and 2 different sleeve lengths (long or extra long). It has optional belt loops and ties. It comes in Girls' sizes 0-3 months up to size 14 and has a wide women's size range of XXS to 5XL. I made Hannah the knee length Girl's Eleanor cardigan in size 9-12 months in a thick Organic sweatshirt fleece. It is squishy and soft and will definitely keep her warm in the upcoming colder months. One of my absolute favorite things about this pattern is that the fabric only has to have 15% horizontal stretch. This gives you soo many possibilities. You can use all those sweatshirt and fleece and thick fabrics that just don't work for a lot of knit patterns. It also has just the right amount of ease for these thicker fabrics to not feel overly bulky. 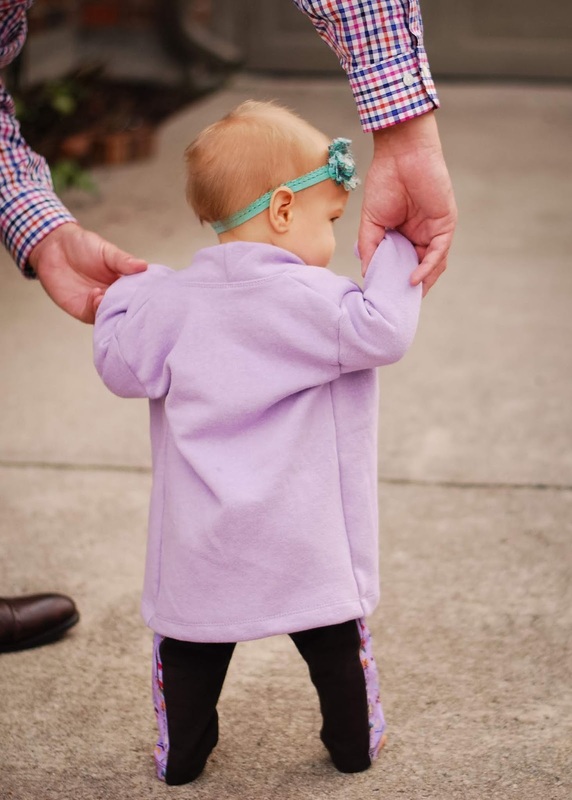 Since I made the knee length for Hannah, I feel like this will fit her throughout the upcoming colder months, which is so nice for a baby that grows so quick! 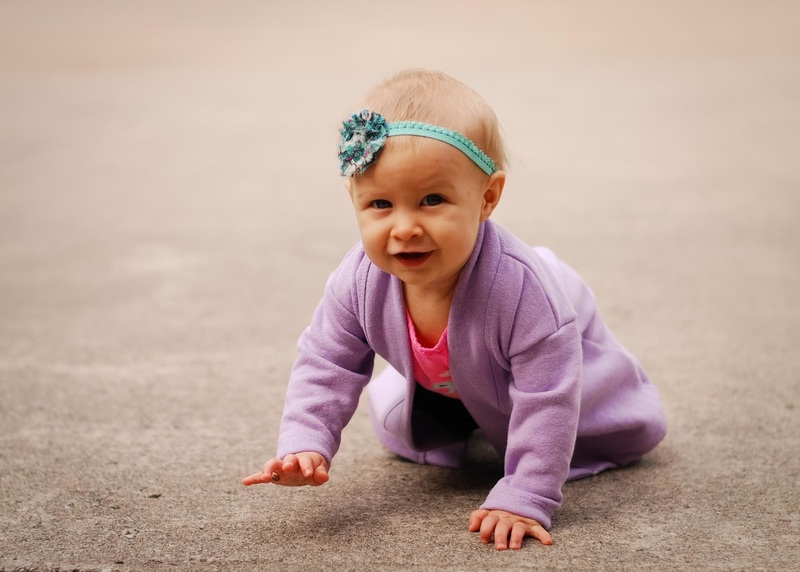 It did not interfere with her crawling at all. 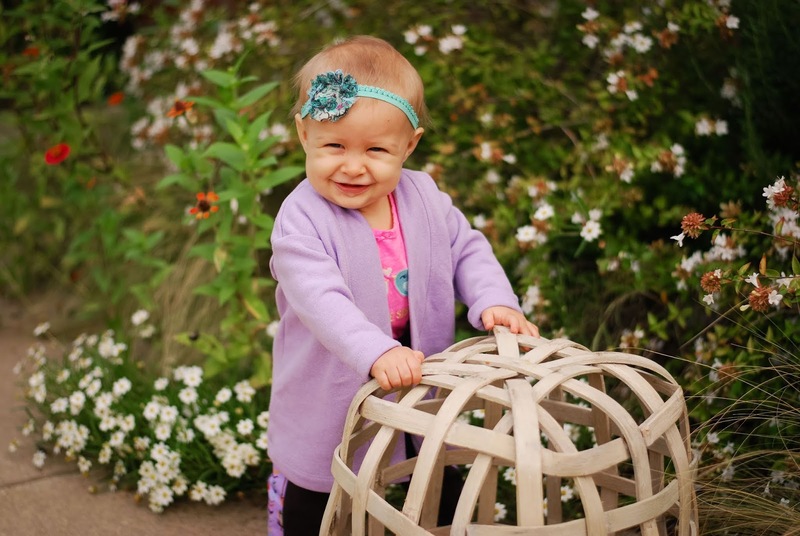 She was quick to get away while I was trying to get some photos of her in her cardigan. Once I finished Hannah's cardigan, I was so crunched for time, but I had to have one for me too. I loved how quickly hers came together and the way it fit so I stayed up late (on the night it released!) and made one just for me. Now my other daughters are also begging me to make them one as well. My oldest daughter even stole mine and wore it around some this evening! I used this chunky thick cotton French terry for mine and made it tunic length. It is not very stretchy so I was so glad to find a project that it worked for. I put patch pockets on mine and used the more fitted sleeves. The pattern suggests that you try on the cardigan before placing the pockets to make sure you like where they will be. I ended up moving mine over to where they were centered on the bottom of each front panel. I like where they ended up and am glad this was in the pattern. I made an XS, and I graded the waist and hips to an XXS based on my measurements. I used the slimmer fit sleeves in the regular long length. 1. Both the Women's Eleanor Cardigan Pattern and the Girl's Eleanor Cardigan Pattern are on sale through Sunday, October 7. 2. If you purchase both patterns, you can get an additional $2 off with the coupon code "cardiganmatch." 3. The shirt I am wearing under my cardigan is the Camilla by 5 out of 4 that I wear all the time because it is so easy to breastfeed in. I blogged about it here. 4. 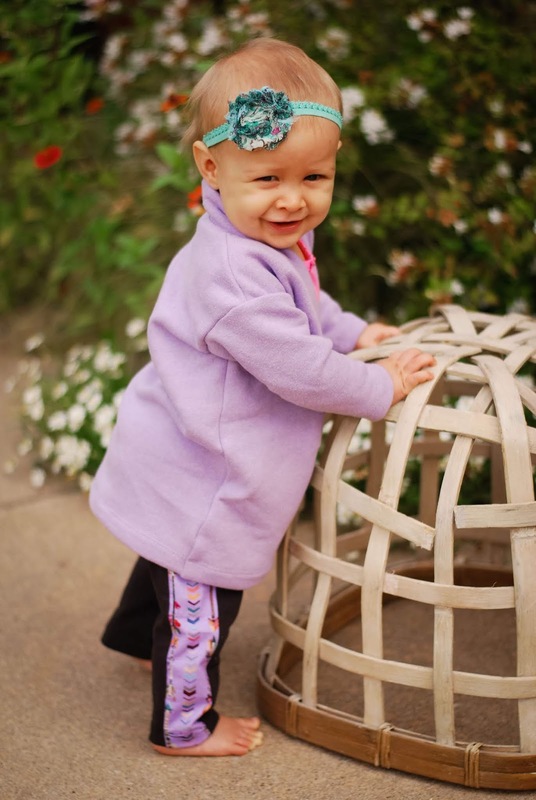 Hannah's pants are the Greenstyle Girls Stride Tights in 2T that I will be blogging about this Friday! 5. 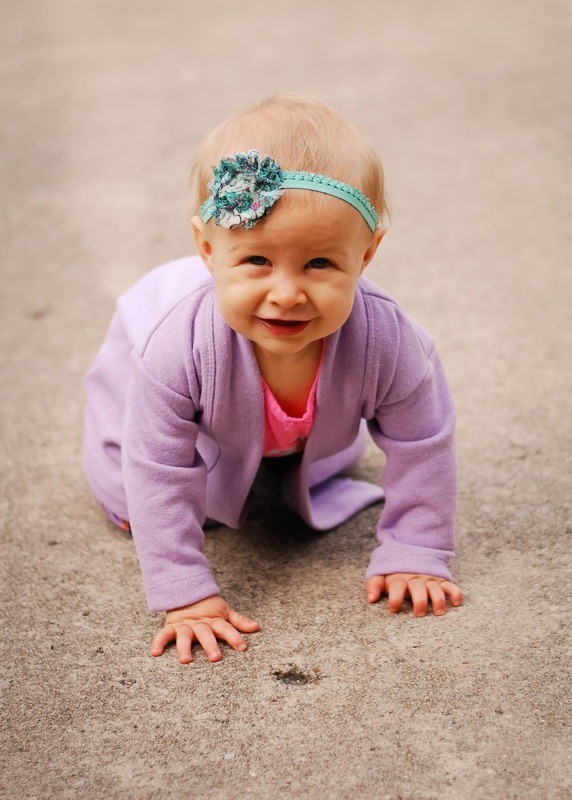 The fabric for Hannah's cardigan is an organic cotton fleece that came from Simplifi Fabric. 6. The fabric for my cardigan came from Wherehouse Fabrics or Super Textiles in the Dallas Fabric District. Simply beautiful! ❤️ The story, the successes and the grace of God over you! I remember this time guite well. You are beautiful and gifted and a wonderful giddy mommy. We love you! Love you too. Thanks for the kind words!